I feel like I didn’t do the White Russian from The Big Lebowski justice with my earlier post. 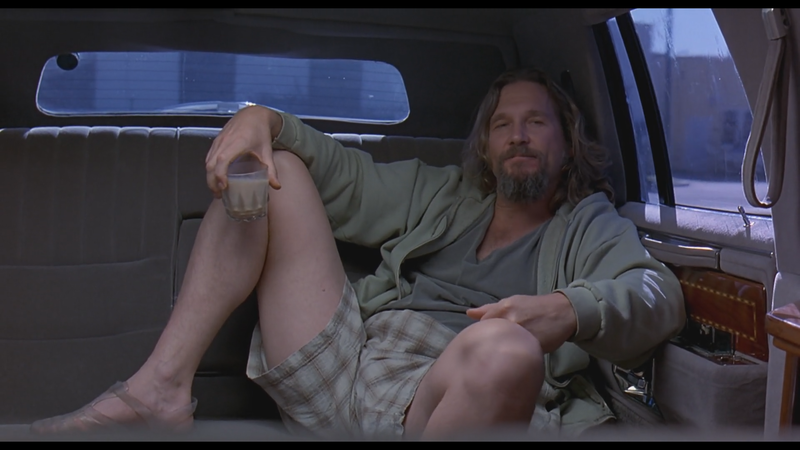 So here, for your vicarious pleasure, are all the times The Dude, or El Duderino if you’re not into the whole brevity thing, is making or drinking a White Russian. He occasionally calls them Caucasians, hence the post title. In all, The Dude drinks nine White Russians, four of which he makes himself. He uses light cream (half-and-half) when at home and non-dairy creamer at Maude’s. There may be a meaning behind this, as the film is loaded with cryptic metaphors and hidden jokes. Never does he use a cocktail shaker. …you may as well order another. 5. At Maude’s #2, with what is definitely non-dairy creamer.